Team up with CDSS today to support important national initiatives. 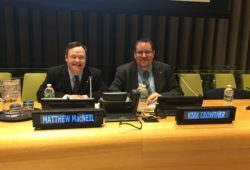 The Canadian Down Syndrome Society is a registered charity that accepts donations to fuel its efforts to progress advocacy and education on behalf of people with Down syndrome and their families (Canada Customs and Revenue Agency Business Number 11883 0751 RR 0001). Online donations are a quick and easy way to give. Tax receipts for all donations will automatically be e-mailed to your account. You can support CDSS at your workplace! 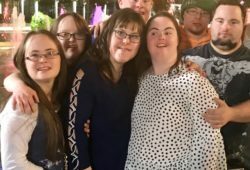 As a national organization, the Canadian Down Syndrome Society has high air travel costs. The volunteer board of directors and VATTA – Voices At The Table for Advocacy – come from coast to coast and meet face-to-face three times per year. Your donated Aeroplan Points will reduce the high cost of travel, allowing CDSS to focus more on resources, information and support.